Yesterday, i wrote a post and that post alone got 6455 unique hits, this is the highest hits to my blog till date. That means, 6455 people read it. 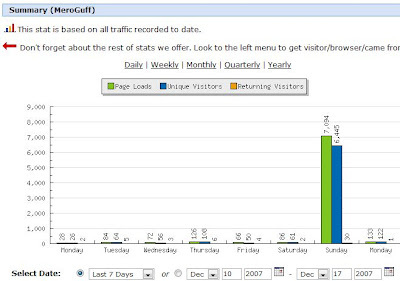 Except my 30 regular readers, rest of them were all the new visitors to my blog. thank you bro, please keep visiting. i need wonder words of my friends and visitors. Now guess who am i?